Let us introduce you to a couple of our IP dome cameras, the Sentinel-IR 4K Moto-Dome and Sentinel-IR Moto-Dome. 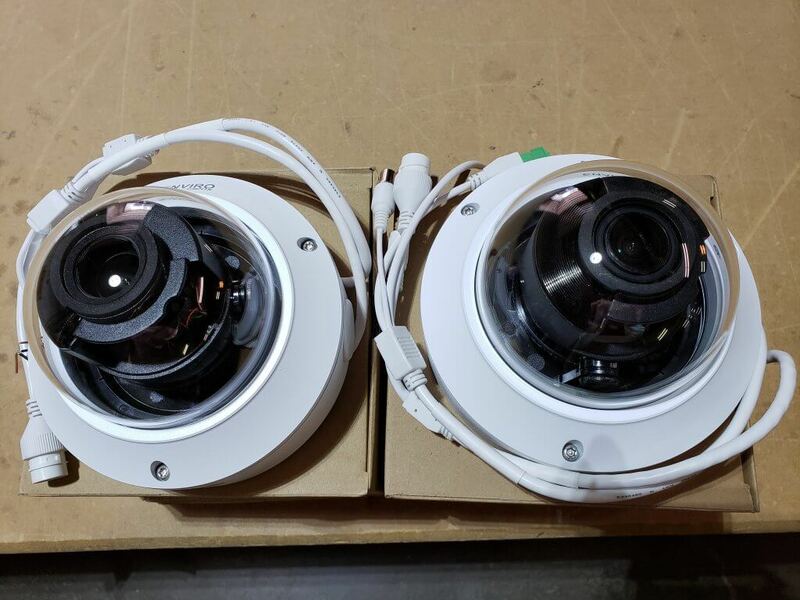 Both of these fantastic cameras have the ability to have video, power, and audio over standard Cat5e/Cat6 up to 800ft plus (when connected to EnviroCams NVRs or POE Switch). One of the unique features of this camera is that the Infrared Lamps are totally hidden. You won’t be able to tell that this is an Infrared camera. Yet the Powerful Hidden Lamps can throw IR Light out as far as 100′ on a moonless night. So the Sentinel-IR makes an excellent Low Light Surveillance tool. (Note: as with any infrared dome camera, a smaller space with something to bounce the Infrared light off of, is the best place to use a dome camera outdoors. If you have an open field with nothing to reflect the light, use a bullet camera or other strong Infrared source). These IP Dome Cameras are for both indoors and outdoors, with an IP67 weatherproof rating for any weather (-40 below and +140 F). They are also IK10 vandal resistant rated that means that this camera has been tested with the equivalent of a sledgehammer weighing more than 11 pounds and being dropped onto the dome from about 18″ away with no damage. A bonus feature of our IP Dome Cameras is that they are truly PLUG-N-PLAY. No IP addressing for each camera just plug the camera in and within seconds you a video. The Sentinel-IR 4K Moto-Dome is an 8 Megapixel infrared camera with a motorized 2.8mm – 12mm auto-focus zoom lens with 4K resolution. The Sentinel-IR Moto-Dome is a 2 Megapixel infrared camera with a motorized 2.8mm – 12mm auto-focus zoom lens. For more information on any of our, IP Dome Cameras contact us here at EnviroCams toll-free 866-264-0041 or stop by our website. This entry was posted in Blog, IP Camera System and tagged dome camera, ip camera, ip dome camera.